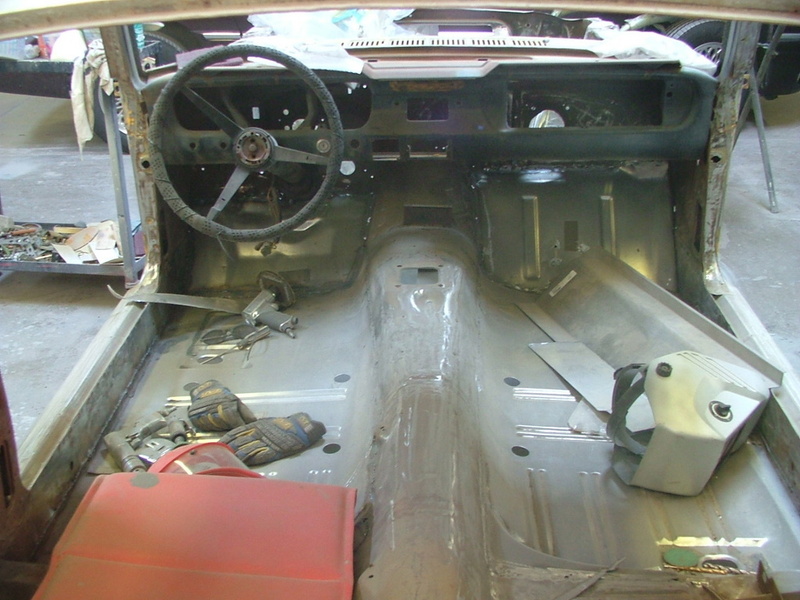 All the new floorpans are now installed and the rear frames and trunk are now being replaced. 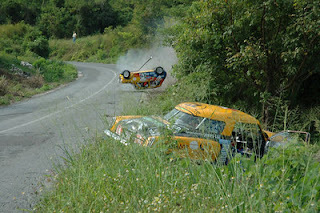 During this years 2006 La Carrera Panamericana drivers were told there was a "bad spot" to be on the lookout for on a certain section of road. 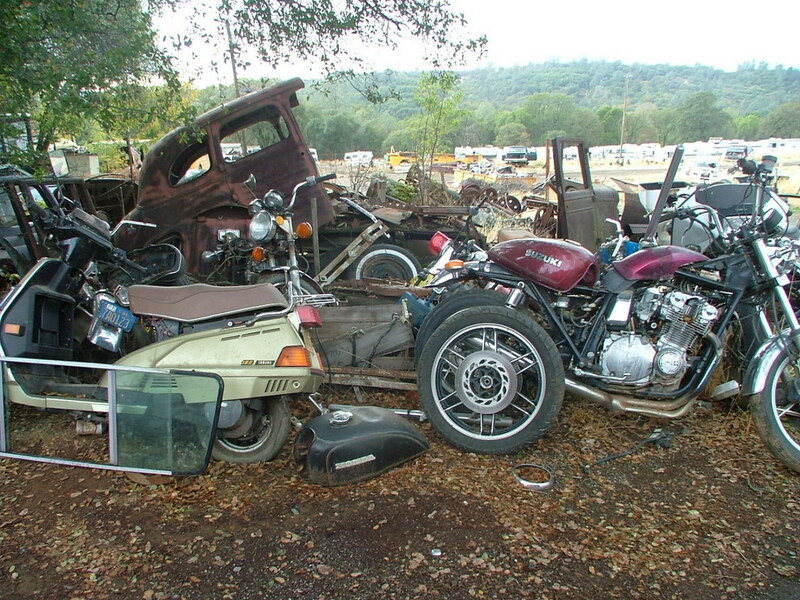 To many driver's surprise what they found wasn't actually a "bad spot" but more like no spot at all. 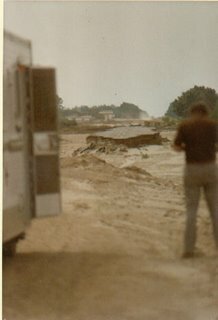 In this photo you can clearly see half the road had washed away the night before. Just imagine how many drivers and navigators needed spare underwear after coming around this corner at full speed. Most race tracks have a safety margin or runoff when things get a little hairy but all you get here is... Well, you get nothing if you screw up. In reality, this is simply one more obstacle to be aware of when racing in Mexico and it can only help make the race more interesting and adventuresome. Tomorrow is Thanksgiving and boy do I have lots to be thankful about. Besides all the great things in life that I sincerely appreciate, those being my family, health, work, and church there is our new (and first) grandson which we will be taking to visit his great grandmother. I don't know who is more excited, me or my mother? By this time next year we will have returned back to the United States from having competed in the La Carrera Panamericana, a dream come true and an adventure all of us are looking forward too. So much history, tradition and FUN! I am so thankful that my son will be coming along to share the adventure with his old man, hopefully one he will remember many years after I'm long gone and one he can share with his children. I am also grateful to have such a good friend who has been such a support in this entire endeavor. Jon's support and equal excitement has been more than any friend could ask for. In the meantime the car is coming along amazingly well during it's reincarnation. 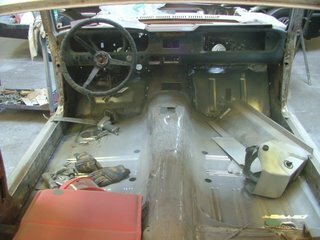 I asked my body man to remove the entire trunk floor to get a better look at the frame rails and it's a good thing we did. 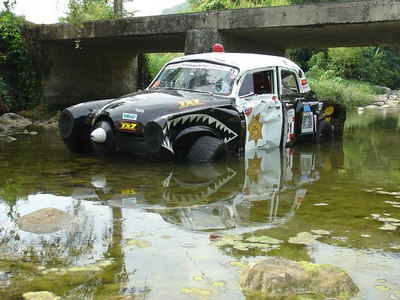 They "may" have been alright for the average Joe but this car is not going places where average Joes go. For that matter no average Joe has the kind of horsepower this GT350 is going to have. 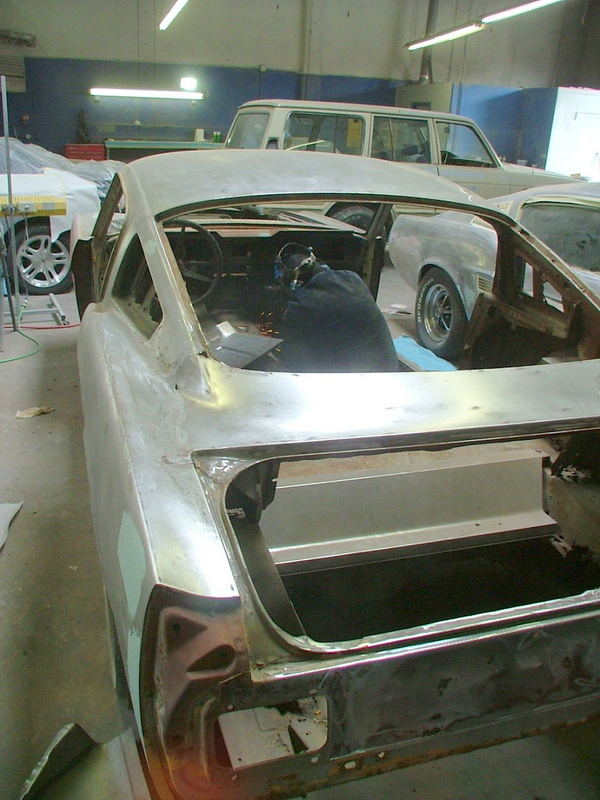 The new frame rails will be here early next week and the last floor pan will be finished and then it will be off to the shop to have an new full roll cage installed. On another note, I just got off the phone a little while ago with La Carrera Panamericana North American Director Gerie Beldso and had a great time listening to him share all that went on over the last few weeks done in Mexico. One of the biggest upsets in the last 19 years of this race is the fact that a FORD in a lower class ended up beating the high dollar race cars. For years it has been extremely well set up Studebaker's complete with Winston Cup engines with excess of 850 horsepower and elaborate suspension systems that have dominated this race. 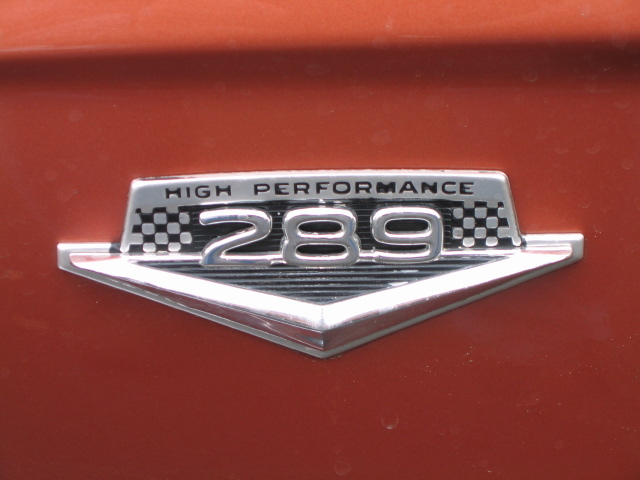 They have clearly been the favorites to win but this year the little Ford with a smaller engine became somewhat of a folk hero when people began asking, "Could this little car really beat those big boys with the rich toys?" And now it's in the record books and it's all very exciting. Next year marks the 20th anniversary of the La Carrera Panamericana since it has began running again and we are hoping to make that anniversary proud with another winner powered by FORD. Just possibly we will have even more to be thankful for next year. Click on the empty sguare below for another blog with some great photos. I was actually glad to hear him laughing about it and the way he dealt with the situation. Fire really effects many men differently and I have seen it first hand. Several times over the years I have seen men react in explosively as they panicked in ways that I personally found unbelievable and I am talking about men I had worked around and thought them to be rational thinking individuals that is until they saw even the smallest fire. Now that I think about it, none of them were race car drivers. 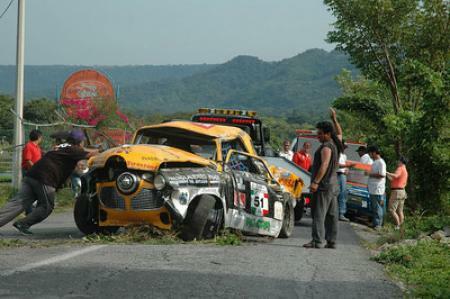 I wonder is methodical, calm, rational thinking is simply part of a driver's persona?There sure does seem to be a lot of adventure and excitement in this year's La Carrera Panamericana. Jon and I sure are missing out on all the racing or should I say, "Off road racing." LOL. 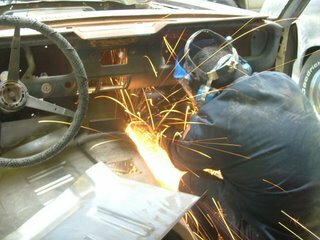 Jon asked me tonight, "You are having a damn good roll cage built aren't you? 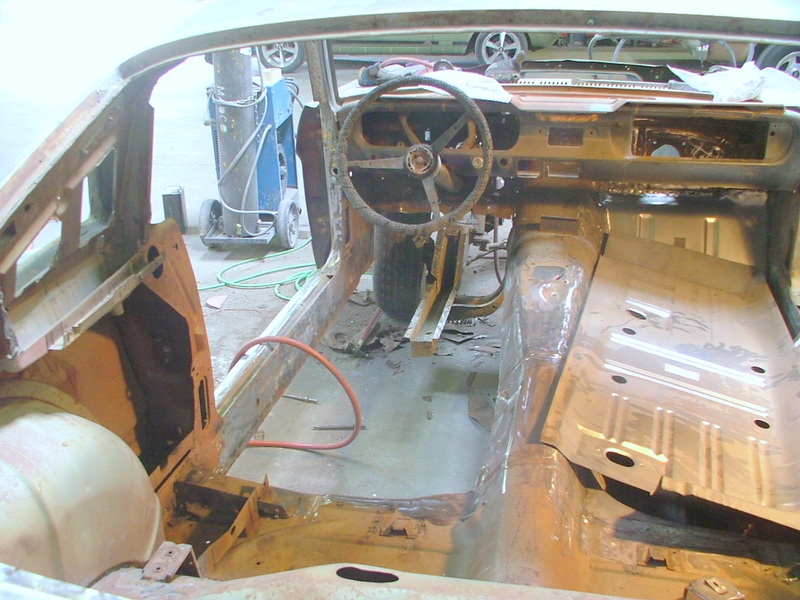 The floors will be done soon as will the quarter panels and other required body repairs. It is really exciting to see every step of a labor of love come together as each step meets it's schedule on our time-line planning. I suppose my primeval inner being is surfacing since I seem to get excited at the mention of fire, tools and metal. (Big tool man grunt.) It's every man's dream to see some fantastic race car rise from a bucket of rust. It's going to be beautiful. Look out Mexico... here we come! What's under the hood or Where's the beef? Tomorrow I go up to the north bay to visit my engine builder REBELLO RACING so we can discuss specifics for the new engine for the car. There are many features about this engine that need to have specific needs and attention to detail. Besides the limits of the rules the main reason is simply because of the high altitude. Many teams and drivers have built expensive high performance engines for this trip only to find out they didn't perform worth a damn at these high altitudes. Not only is it important to have an understanding of the difference between racing at sea level versus high altitude but it's very important to have an engine builder who in fact has a wealth of knowledge and personal experience with such engines and details. This is were things begin to get really exciting for Team California's Best. Yesterday I had the distinct pleasure of speaking with Tom who used to design and build engines for Carol Shelby himself on the exact engine we will be running. After discussing the needs of the engine I listened and took detailed notes for almost 1 hour and ten minutes as he broke down what was needed one part at a time. Then I called my engine builder and without telling him who I had spoken to I began suggesting to him what I wanted for an engine. It wasn't long before he asked, "This is incredible stuff. Where did you get this information?" When I asked why he said, "I have been building almost this exact engine specs for a customer who races in South America on a track at high altitude and it is an amazing combination. Wherever you got this information from they really knew what they were doing." I can't express how happy this made me to hear he had an exact understanding and personal knowledge of exactly what I was looking for and that it was not an experiment but in fact something already tried and perfected. Tomorrow morning we will be plugging all the specific information into an awesome computer program he uses to see exactly what we will be producing with regard to horsepower and torque and so on. His computer program has been very accurate in recent build and has turned out engines that after completed were dynoed to within 2 percent of what the computer said they would be. 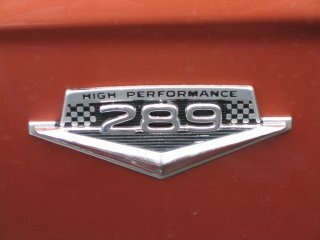 He has already projected this high performance 289 should be in the neighborhood of 480 horsepower!!! not to mention extremely reliable and strong. One of the exciting things about the La Carrera Panamericana is that some of the racing is done on some of the major race tracks in Mexico tying it all together with other famous racing events. Even this is huge in Mexico and since we will be driving on the same days as the Champ Car World Series CART race there will be thousands of spectators. Now there's something you don't see every day back in the states. 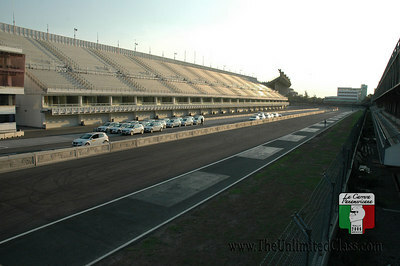 Autodromo Mexico City • La Carrera will race for the fans before the CART race! August 1, 2006, Mexico City – The Champ Car World Series will arrive to Mexico City next November 10, 11 y 12 to celebrate it’s season finale at the Autodromo Hnos. Rodriguez, but this time they will be sharing the track with one of the most important historic races of the world : La Carrera Panamericana. The new edition of the famous race of the 50´s started in 1988 and since then a long tradition of new winners and exciting competition from drivers and cars from all around the world race from south to north in the highways of Mexico reaching speeds over 200 mph. “During the course of the years we have worked really hard to innovate and bring a better show to the fans in our race, the Carrera Panamericana is the first of the surprises we have prepared for this year” said Federico Alaman, promoter of the Gran Premio de Mexico. “In the past the Autodromo Hnos. Rodriguez has held races of the best series like F-1, Champ Car, NASCAR Busch, Grand Am, Prototypes, Superbike and Trans Am among many others. We are very happy that the organization of the Carrera Panamericana accepted our invitation, this will be a great show along with Champ Car for the fans, and we will contribute to the rich history and tradition of the race”. A total of 100 cars will start the Carrera Panamericana Friday November 10th in Oaxaca and they will arrive to Mexico City two days later. The promoters have arranged a speed stage around 9:00 am the 12th, CART race day (time to be confirmed). After their participation on the Gran Premio de Mexico, the caravan will continue it’s journey until they reach Monterrey on November 16th. “This is great news for all the participants of the Carrera Panamericana, in the past our event has raced in other racetracks of the country, but this will be our first time at the Autodromo Hnos. Rodriguez, it’s a great opportunity and we are very thankful to OCESA for the invitation, we will contribute to make the Gran Premio de Mexico the biggest motorsport event in Mexico in 2006” said Eduardo Leon, promoter of the Carrera Panamericana. Original writing by James K. Lamona AUTO SPORT Review, United States, March of 1953. The 3114 km mexican road that stretches south to north from Tuxla to Juárez is, according to Alfred Neubauer, a combination of Tripoli's Grand Prix. the italian "Mille Miglia", the german "Nurburgring" and the Le-Mans 24 hrs. Herr Neubauer should know, for it was under his leadership as the Competition Director of Mercedes Benz German Teams that they defeated the most formidable english, italian and french participants in europe for the last 25 years. 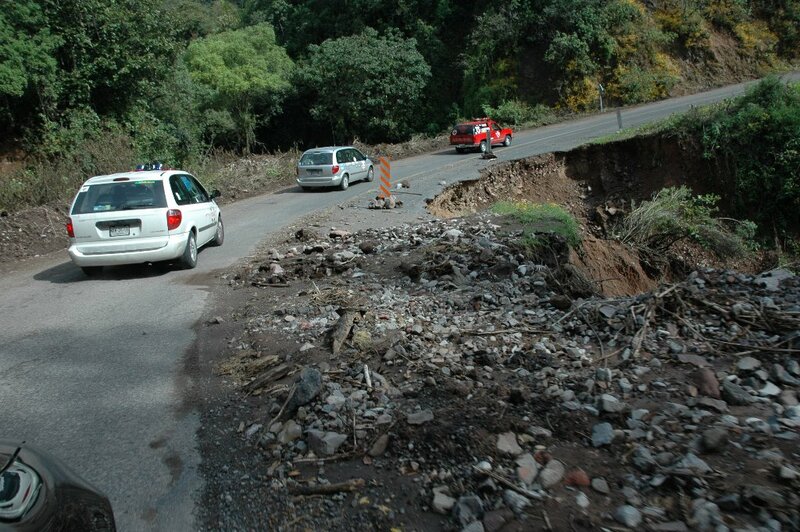 "Did I ever tell ya about the bump in the road?" I have waited all week to post a picture of my rearend but all day Jon kept telling me he didn't think that was a very good idea. So today as we journeyed for 6 and a half hours to Shingle Springs California to pick up a hard to find Lincoln Versailles rear end for the car Jon and I began swapping stories and one of Jon's stories began, "Did I ever tell you about the bump in the road?" As I drove along between traffic jambs and radar traps not to mention what Jon called "Stealth Mode" highway patrol and maniac jerks with a license the story began. But when Jon was finished I had to "one up" him with my "Bump in the road" story about a trip I took to Mexico back in 1970, as a matter of fact to where we are headed with the new race car. The difference between Jon's version and mine... I had pictures. LOL. 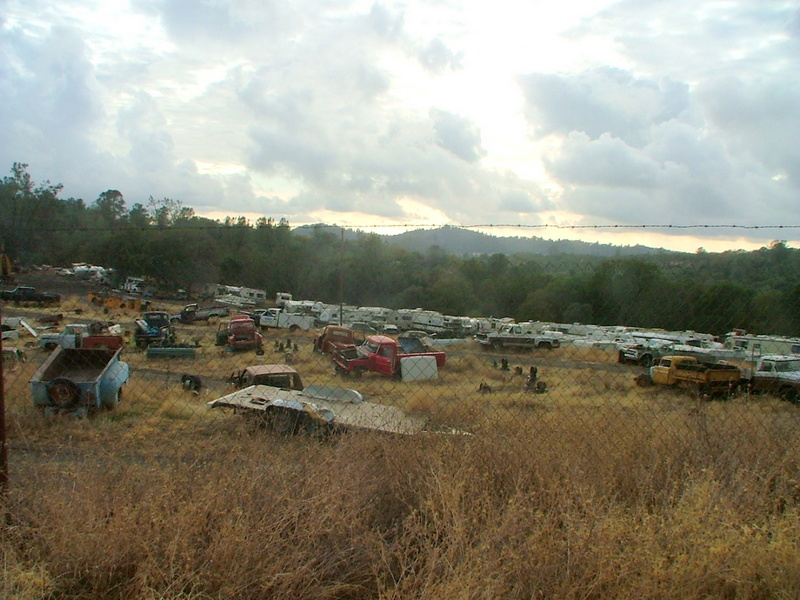 When we arrived in the "country" where the wrecking yard was I swear we could hear Dueling Banjos in the distance. As we turned off road in what appeared to be a driveway (at one time or another) we found our self amongst "critters" which should have set off red flags. "Hey Jon, there's some wild turkeys! Gobble Gobble. Hey Jon, there's some deer!" Jon ask, "I wonder where them fellers are headed with the canoe?" 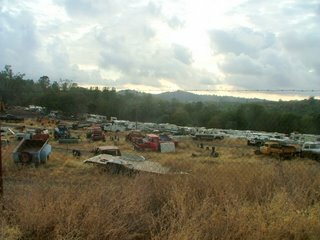 Then it happened, we drove out of the woods (and piles of wooden pallets) and as far as the eye could see was a field of wrecked and obsolete motor homes. 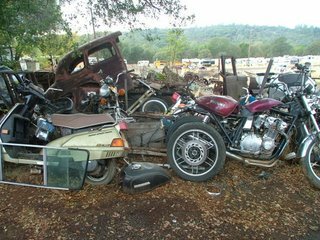 Then over on that thar hill was the makins of what used to be trucks, cars, I think I saw an old bathtub, a shed with steering columns tied on the outside, but nothing that anyone would want to steal. Then Jon pointed out a sign that said, "ABSOLUTELY NO PICTURE TAKING!" As Jon and I began laughing I said to him, "Daddy!?" And he said, "EVIS.. IS THAT YOU? WE KNEW YOU'D COME HOME!" "So, you must be the city slickers who have come ta fetch the rear end. Foller me on down behind that thar shed. As we drive down the holler to the shed down the hill he says, "Hey fellers, looky here what these city slickers brought. What say we take it fer a spin in the mud?" As we were leaving Jon says, "Hey, isn't that Burt Reynolds behind the counter?" But we made it home and lived to talk about it and that's all good. 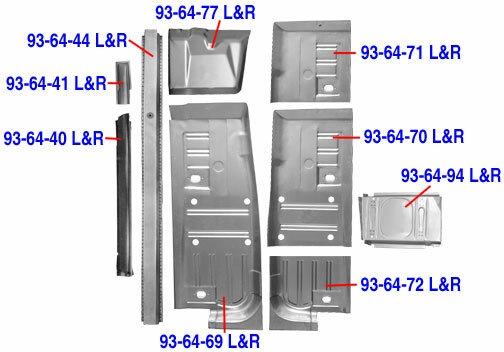 And if we are to make a successful run on this demanding and grueling endurance race we may just need what is considered to be the best designed rear end ever made for a race car. Oh... and if you're good I'll post a photo of my rear end when Jon's not looking. 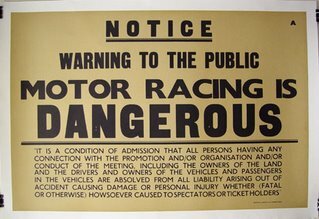 Days like to day may seem to prove race car drivers have breathed in far to much exhaust over the years but the truth is, it was an awesome day shared by two friends who took an ordinary day and had a blast with it. Thanks Jon. PS: Why did you ask Bubba for his phone number? Today the floor panels and fender sections arrived so they were delivered to the body shop where they will be installed.